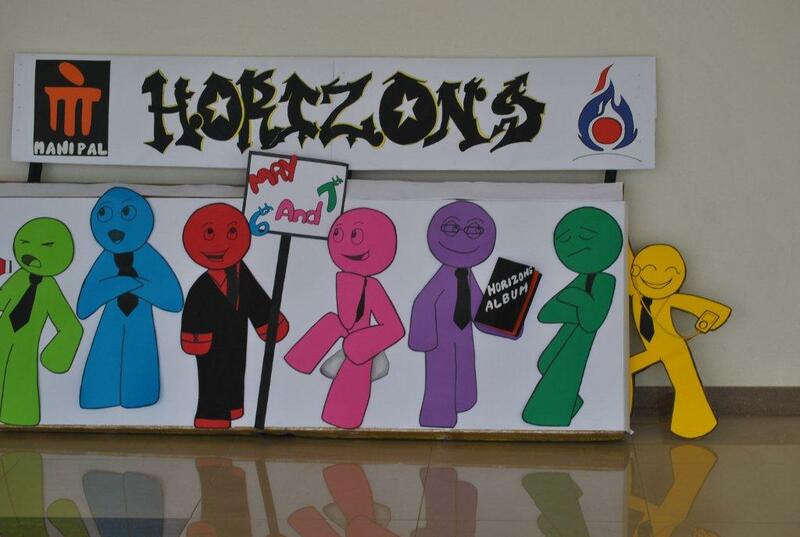 Horizons 2012 initiated with the passion among the BBA students to “Ignite the Desire to Reach the Horizons”, as the caption says in the invites. 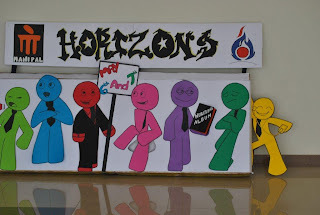 A unique promotional campaign was conceptualized “The Flash Mob” and well executed on the 28th April 2012 at 12.00 pm in the ground floor, which created an expectation and excitement among all the students regarding Horizons 2012. The event was inaugurated on the 6th May 2012 by Dr. G. Shahul Hameed, Chairperson, Department of Management Studies. The audience being students from four well-known schools in Dubai – Indian High School – Boys & Girls, Our Own English High School, Al Warqa and Millennium and the final year, second and first year BBA graduates along with the department faculty members. Umme Hani Asif, BBA III year (Human Resources) recited a verse from the Holy Quran and ensured that the event kick starts in a gala manner. Business Quiz – rechristened as “The Venture” was conducted in a unique fashion wherein the school students and the BBA graduates got an opportunity to see themselves in a single team – constituting 2 school students and 2 BBA students, enabling each other to make it to the top by sheer synergy. Edwin Thomas, and Maarish Kumar Jairath, Our Own English High School, Al Warqa, Dubai and Sakina and Karthik, BBA I year were the winners and the runners up went to Noel and Hanumanth, Indian High School – Boys and Amorette D’Souza and Mohd Salman Shaikh, BBA I year, Manipal University, Dubai.